Bayer’s cooperation partner, Janssen Research & Development, L.L.C. has submitted a Supplemental New Drug Application (sNDA) to the U.S. Food and Drug Administration (FDA) for the oral anticoagulant Xarelto (rivaroxaban) in combination with standard antiplatelet therapy to reduce the risk of (thrombotic) cardiovascular events in patients with Acute Coronary Syndrome (ACS). The U.S. FDA has previously granted rivaroxaban “fast track” designation, given the seriousness of ACS and the potential clinical benefit of rivaroxaban. Rivaroxaban is an oral direct Factor Xa inhibitor being jointly developed by Bayer HealthCare and Janssen Research & Development, L.L.C. Rivaroxaban is the only new oral anticoagulant that has been submitted for use in this indication. The submission is supported by data from the pivotal, global Phase III ATLAS ACS 2-TIMI 51 study. Results from the study, presented at the 2011 American Heart Association Scientific Sessions and simultaneously published by the New England Journal of Medicine (10.1056/NEJMoa1112277), showed that the combination of oral rivaroxaban 2.5 mg BID with standard antiplatelet therapy significantly reduced the composite primary efficacy endpoint of cardiovascular death, myocardial infarction or stroke in patients after a recent ACS compared to those receiving standard antiplatelet therapy alone. In addition, rivaroxaban 2.5 mg BID in combination with standard therapy significantly reduced both the rate of cardiovascular death and the incidence of all-cause mortality by more than 30% over standard therapy alone. The study also showed that 2.5 mg BID of rivaroxaban in combination with standard antiplatelet therapy exhibited a higher rate of TIMI major bleeding events not associated with coronary artery bypass graft (CABG) surgery, but importantly did not increase the risk of fatal bleeding over standard therapy alone. ACS is a complication of coronary heart disease, which is one of the most prevalent non-communicable diseases in the world and the leading cause of death in the U.S. ACS occurs when a blood clot blocks a coronary artery, reducing blood supply to the heart. This disruption of blood flow can directly cause a heart attack, or cause severe pain in the chest (unstable angina) indicating that a heart attack may soon occur. • Venous Thromboembolism (VTE) occurs when part of a clot formed in a deep vein, for example in the leg (known as deep vein thrombosis, or DVT), is carried to another vessel which delivers blood to an organ. If this occurs in a vessel supplying blood to the lungs, it is known as a pulmonary embolism (PE), an event which can be rapidly fatal. • Arterial Thromboembolism (ATE) occurs when oxygenated blood flow from the heart to another part of the body (via an artery) is interrupted by a blood clot. If this occurs in a vessel supplying blood to the brain, it can lead to a stroke, an event that can be severely debilitating or fatal. 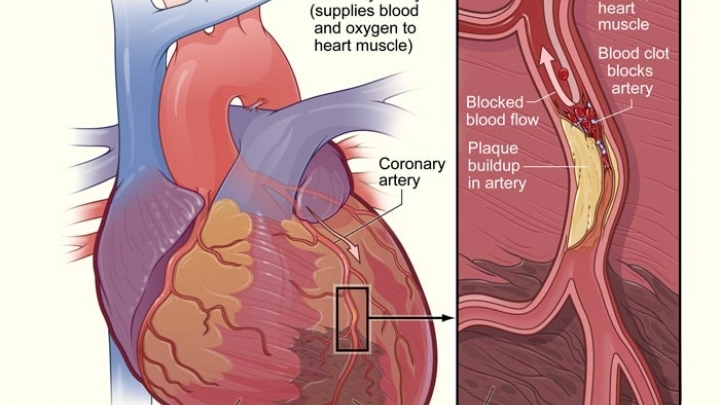 If it occurs in a coronary artery, it can lead to acute coronary syndrome (ACS), a complication of coronary heart disease which includes conditions such as myocardial infarction (heart attack), and unstable angina. VAT is an important cause of morbidity and mortality across a broad range of acute and chronic blood-clotting disorders and requires active or preventative treatment to avoid potentially serious or fatal patient outcomes. Rivaroxaban is an oral anticoagulant that was discovered in Bayer HealthCare’s Wuppertal laboratories in Germany, and is being jointly developed by Bayer HealthCare and Janssen Research & Development, L.L.C. It has a rapid onset of action with a predictable dose response and high bioavailability, no requirement for routine coagulation monitoring, and a limited potential for food and drug interactions. Rivaroxaban is marketed under the brand name Xarelto for VTE prevention in adult patients following elective hip or knee replacement surgery, and it is the only oral anticoagulant that has consistently demonstrated superior efficacy over enoxaparin in this indication. Rivaroxaban is approved in more than 110 countries worldwide and is marketed outside the U.S. by Bayer HealthCare in this indication. On December 19, 2011, Xarelto received further marketing approval in the EU for the prevention of stroke and systemic embolism in patients with Atrial Fibrillation as well as for the treatment of deep vein thrombosis (DVT) and the prevention of recurrent DVT and pulmonary embolism following an acute DVT in adult patients. In the U.S., where rivaroxaban has been available since July 2011 for VTE prevention in adult patients following elective hip or knee replacement surgery, Janssen Pharmaceuticals, Inc. (a Johnson & Johnson Company) holds marketing rights. The Bayer HealthCare sales force is supporting Janssen Pharmaceuticals, Inc. in designated hospital accounts. On November 4, 2011, Xarelto received further marketing approval in the U.S. to reduce the risk of stroke and systemic embolism in patients with nonvalvular Atrial Fibrillation. The extensive clinical trial program supporting rivaroxaban makes it the most studied and widely published oral, direct Factor Xa inhibitor. The studies, reported and ongoing, involve over 75,000 patients for the prevention and treatment of venous and arterial thromboembolic (VAT) disorders across a broad range of acute and chronic conditions, including VTE prevention in adult patients following elective hip or knee replacement surgery, stroke prevention in patients with Atrial Fibrillation, VTE treatment and the prevention of recurrent DVT or PE, and the secondary prevention after an Acute Coronary Syndrome.